After Foreclosure, Sale Surplus Funds May Be Waiting For You. Give Us A Call For More Information 888-934-3444. NOTICE: If you need these services we will refer you to a law firm in your state to perform all services. What Does Surplus Funds Mean? When there is a suplus of funds it means the funds required to pay off a debt exceed the total balance owed. Surplus funds are usually obtained after a debt auctions a security it held in order to make whole their investment on a defaulting borrower. These overages in many cases do not go back to the debt holder but to the borrower. In the case of a foreclosure there is usually a disbursement to the mortgagor from the proceeds of the sale of any surplus money but not before having to apply for it. What Are Foreclosure Surplus Funds? 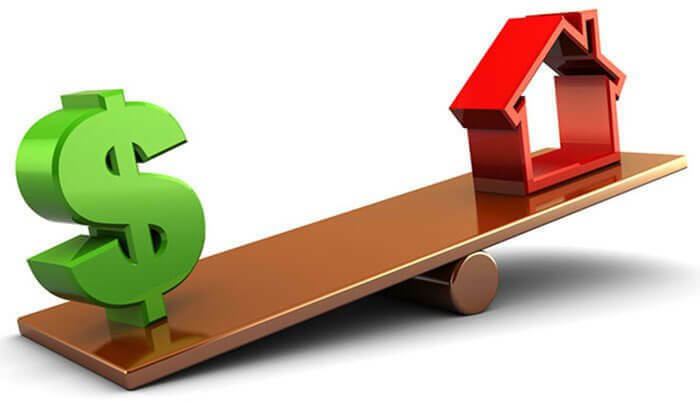 Surplus funds in the case of a mortgage foreclosure auction are the excess funds from a received for the sale of the home and the difference between the debt that is owed (mortgage payoff) and the final winning bid at the auction. If the lender foreclosing receives excess funds from a mortgage foreclosure overage. If there are proceeds at the auction that exceed the debt’s balance the surplus money is set asside for any creditors that may stake their claim on the excess. After a foreclosure we can check for you to see if there were and proceeds beyond the amount you owe that can be collected. When a HOA forecloses or even a second mortgage goes through the auctioning process there may be surplus funds that you are entitled to. Our professionals can work with the mortgage foreclosure auctioning party to manage the process fo your claim. Understanding the results for your mortgage foreclosure will lead you to understand what your rights are. If there are any foreclosure overages you may need to get in touch right away with the appropriate parties. There is a limited time frame in which parties can stake their calims to any excess funds from foreclosure sale. Proceeds from the sale of your home at foreclosure is a sensitive matter. Give us a call to further discuss your sitatuion and if working with us is right for you. You have rights to the surplus funds and acting quickly may not only be important but may effect your ability to get any surplus money. Surplus money coming from the excess funds from the foreclosure sale is not simply sent out to the homeowner after the auction. In fact it may require some degree of court action and filing motions in state court. Our team can help you assess what steps you will need to take to stake your claim on any excess proceeds from a foreclosure sale. In a mortgage foreclosure if your home is auctioned off the equity goes to the highest bidder. The lender cannot profit off of the foreclosure but is allowed to be compensated for the fees and costs it assesed along the way. If there are excess proceeds from the foreclosure sale then all parties with interest in the home may put in a claim for the funds. Consult A Surplus Funds Experts And Find A Way To Get What's Owed To You Today! NOTICE: In Many Cases Absolute Consultant Group (ACG) May Be Working With Partners In Your State Who Specialize In Helping Homeowners. Your State May Consider This An Advertisement. Hiring A Real Estate Professional Or Attorney Is An Important Decision That You Should Not Make Based Solely On Advertising Or On Our Self-Proclaimed Expertise. Rather, You Should Make Your Own Independent Evaluation Of Any Professional Who You Are Thinking About Hiring. ACG Is Not Endorsed Or Affiliated With Any Governmant Agency Or Specific Lender. Speak To Our Case Manager To Get Connected With Our Professionals For Your Evaluation. ACG Is Not A Law Firm And Does Not Provide Legal Advice.